I remember the first time I got high in Colorado. A newly arrived transplant from the Midwest, I had climbed up the last few jagged rock stairs of the Barr Trail and arrived at the top of Pikes Peak – a 14,115 foot summit, more than two miles higher than I had ever been on my own power. The air (or lack of it) at that elevation – with 40 percent less oxygen than sea level - made my heart beat a little faster and made the little sealed bag of peanuts in my backpack explode. With 54 peaks higher than 14,000 feet in Colorado, it’s not hard to find places to get high. Go ahead. Laugh. We know that “getting high” in Colorado has taken on a whole new meaning in recent years. But a “Rocky Mountain High” has always attracted sightseers, hikers, climbers and cyclists who are looking for a different kind of altered consciousness – the kind that comes with pumping endorphins and expansive views. 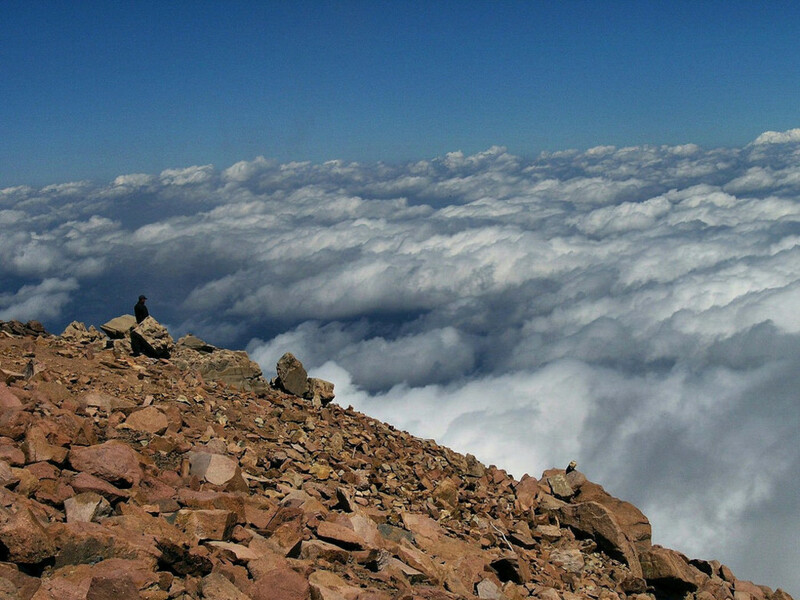 Here are four RootsRated recommendations for getting high in the Pikes Peak region. 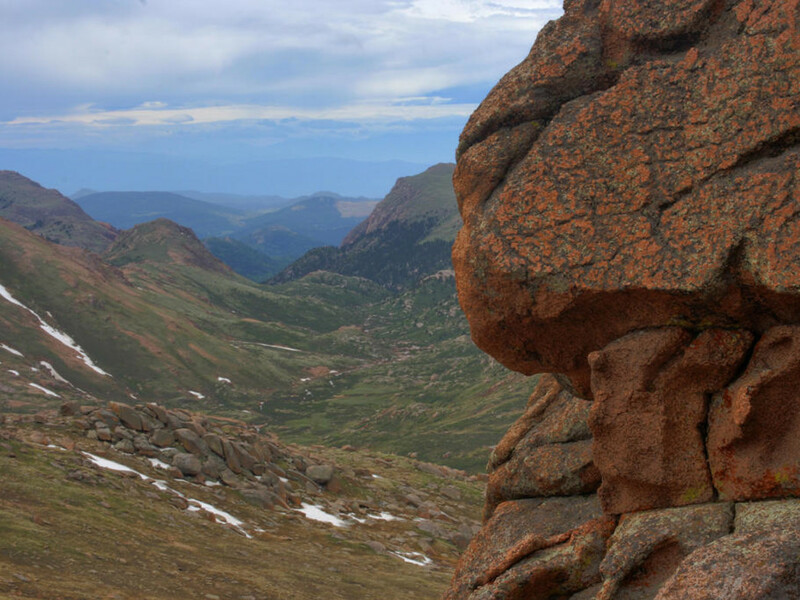 The perfect hike is one part physical exertion, one part exploration and one part “wow.” The Devil’s Playground Trail from the Crags to the summit of Pikes Peak offers just that kind of an experience. Find the trailhead just off the popular Crags Trail west of Colorado Springs. 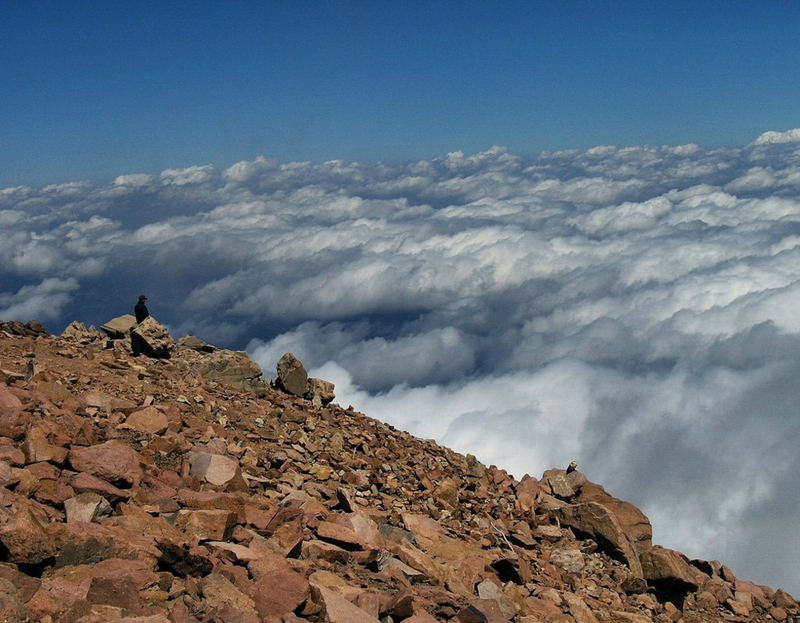 This is a steep climb that tops out at the Devil’s Playground, a stretch of rock formations at 13,060 feet, and then ends with a final rock-studded stretch to the summit of Pikes Peak. 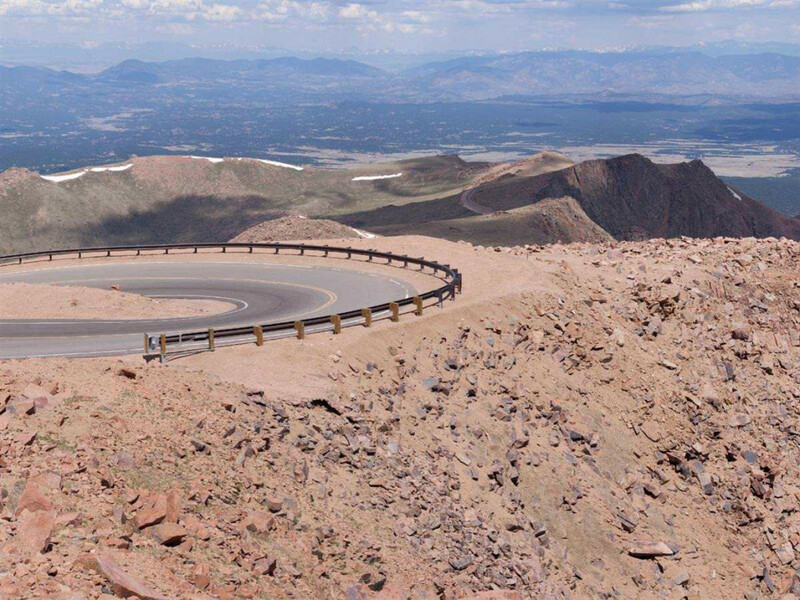 The Pikes Peak Highway has been open to motorized vehicles since 1915, and for decades, it has been the site of one of the country’s premier racing spots for cars and motorcycles in the Pikes Peak International Hill Climb . But just last year, it opened to cyclists, and now the bravest riders in the region have the chance to test themselves on this grueling climb of 4,700 vertical feet and 150 turns. On Aug. 24, the highway will host the second Broadmoor Pikes Peak Cycling Hill Climb , where riders will test themselves on 5K, 10K or 20K routes. The highway is also open year-round, weather-permitting, and cyclists who want to test their skills are urged to drive to the Crystal Reservoir Visitors Center parking lot or above and ride from there. Three miles on a normal freeway pass by in an instant. Three miles on the Skyline Drive in Canon City do not. Skyline follows the crest of the 800-foot-high Dakota Hogback, and it's open year-round. Dinosaur footprints in the sandstone provide excuses to stop along the way, and there are plenty of pull-offs with views of the Arkansas River and the Royal Gorge Bridge (the world’s highest suspension bridge). This is a one-way, one-lane road suitable for cars and trucks but not larger vehicles like RV's. 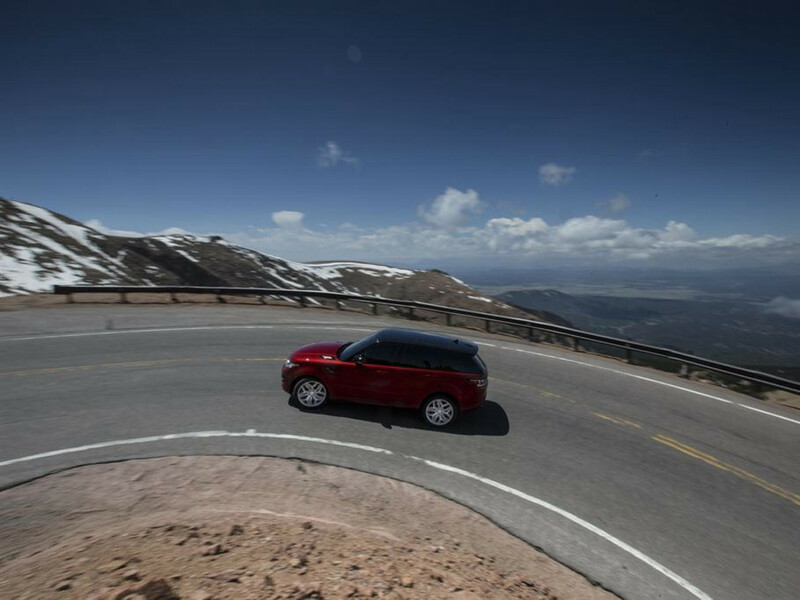 If guardrails or wide shoulders are on your must-have list, this isn’t the scenic drive for you. 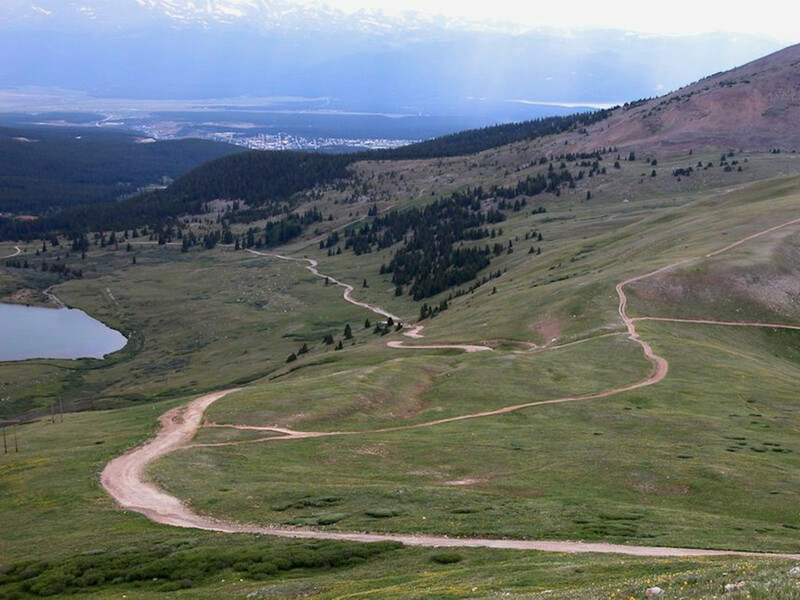 Mosquito Pass , a rocky path that stretches from the tiny mountain town of Alma to the equally sleepy town of Leadville is the country’s highest road over a mountain pass. It tops out at 13,186 feet and offers views of old mining head frames and distant snow-capped peaks. The 9.5-mile road is rough and is best for four-wheel-drive vehicles that can handle the football-sized boulders and steel ascent and descent. This is a two-way road that narrows to one lane in some spots. It’s not open in the winter, and Mosquito Pass fans say the best time to visit is July through September.